Would you like to see a garden that needs no watering, no digging, no fertilizing, no weeding and produces fresh, organic food on auto-pilot, year after year? One that can yield up to 8 times more produce than traditional gardens1, to feed you and your family in times of crisis with some of the healthiest, tastiest, most nutritious food you could possibly eat… and it can fit right in your back yard. In this pocket-sized Paradise, fruit trees, veggies and medicinal plants all live together in perfect harmony… taking care of each-other... surviving and thriving the way they did for hundreds of thousands of years: without human intervention. I’m talking about beans, potatoes, carrots, spinach, squash, berries… and hundreds of other plants and fruit trees… all on auto-pilot, all regenerative. So please pay close attention to this presentation, because I’m about to tell not just how cheap and easy it is to set up and maintain (compared to a regular garden and an aquaponics system), but also give you the step-by-step instructions that even a 10 year old can follow. ...for some very good reasons… Unlike traditional gardens that attract looters, this survival garden completely hides its goodies under a layer of leaves, trees and wild plants. It has your back covered in times of social chaos, Martial Law and a food crisis, it helps put food on the table when your stockpile runs out or gets spoiled, and can even slash your grocery bill by 70%, 80% or even 100%, so you’ll never have to buy food from the supermarket again. By the way, you can make it work even if all you have are a few square feet of land, and even if you live in a tiny apartment and all you have is a balcony. The food crisis is not only far from being over, but it also threatens to expand to other parts of the world including the United States… The mega-drought that everyone’s talking about, the gargantuan $20 trillion debt and the fact that 20% of American children are on food stamps2, are all the signs we need to know that the next food crisis will happen the same way it did in Venezuela: tough economic factors, aggressive socialist measures and a President who’s knowingly taking the country to self-destruction. a crisis is near and it’s going to be 5, 10 or even 20 long, tough years until things come back to some sort of normal. To prepare for it, a stockpile is a great start but also not enough. You need a steady food supply, one that can keep you and your family well-fed for years to come, one that won’t get stolen one night... Because waking up one morning to see your entire stash gone is going to be not just a devastating blow, but also the end of your survival journey. A garden or a farm will always attract the hungry and, unless you’re willing to guard it 24/7 and set up an expensive lighting and monitoring system (that won’t work after an EMP, anyway), you might not get to eat all that food. There is a solution to all of this, one that’s actually dirt-cheap to implement, but before I go into that, let me properly introduce myself. 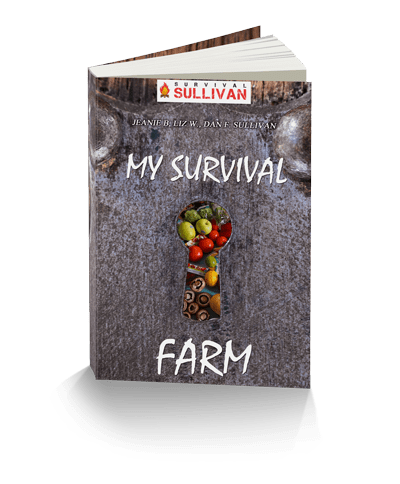 My name is Dan F. Sullivan and I’m the owner and editor-in-chief of SurvivalSullivan.com one of the biggest survival blogs on the Internet. Maybe you’re one of my fanatic subscribers, or maybe you stumbled upon my articles on sites such as American Preppers Network, Backdoor Survival, Urban Survival Site, Off the Grid News, Personal Liberty and many more. EACH AND EVERY LAST ONE can grow just fine on its own, without constant weeding or spraying with pesticides, herbicides and fungicides… which are not only responsible for the genocide of the bee population, but these fossil-fuel poisons are destroying our bodies and our entire ecosystem. These food forests are so “perfect”, that they work even better when animals are added. Chicken, ducks, goats, pigs, and even cows add extra fertilizer the soil and regulate the worm and insect population. I’m so excited to tell you that hundreds of thousands of people are starting to replicate this eco-system in their own back yards with some amazing results… getting 2 times, 4 times and up to 8 times more food, pound for pound, than they would get if they set up a traditional garden in the same amount of space. These money-hungry vampires are doing everything they can to make food grow as fast and as big as possible... because speed and more pounds per square foot mean more money in their pockets. The name of the game is profit, and these guys are masters of it. Plus, I hate to say this but, conventional gardening has the same problems, because it works the same, only on a smaller scale. Only problem is, the trick doesn’t work forever. The soil quickly gets depleted of nutrients, so they need to bring in fertilizers, fungicides and pesticides to continue to see results3… This is getting harder and harder because the weeds are getting more and more resistant, just like your body stops reacting to antibiotics when you use them for the long term. When those stop working as well, the only thing left to do is plant something else (they call it crop rotation), or move to some other piece of land and destroy that as well. Just like a kid who’s always sick and you have to keep him on antibiotics for the rest of his life. High-calorie, low nutrient crops that cost money to fertilize and need constant watering, spraying and daily care... This is not the kind of food we should be putting in our mouths…. These aren’t exactly the things you hear about in the enemedia, right? Don’t worry, though, because there is a better way to feed yourself and your family in times of crisis. This way is actually healthier than gardening and is perfect for survival purposes. It is called permaculture and it’s a method of replicating nature’s way of growing food with little effort in your own back yard. This type of garden is as organic as it gets and, more importantly, it’s completely hidden in plain sight (because of the ingenious way in which it is designed, keeping all the goodies behind a thick layer of bushes and trees). Flowers, veggies, fruit trees, bees, insects, worms, tiny microorganisms, weeds and even backyard animals are all part of this perfect ecosystem that thrives under one condition: that you don’t mess with it. You don’t have to weed it, either, because weeds are a part of the ecosystem and they actually help the other plants. No, you don’t have to sacrifice your emergency water supply to water it. Not nearly as much as you would a traditional garden, at least. Dig a few ditches in the right places to collect rainwater and provide a timed release to the soil. This forces the roots to grow deeper to get it, resulting in strong, healthy plants… They’ll have enough water of for weeks or even months without rain. You also don’t have to re-plant over and over again, every year at specific dates. Many of them are perennials, meaning they last for years and years, while others re-seed themselves, so you don’t have to worry about stockpiling too many seeds for Doomsday. This can and will work for you… and have a sustainable food source that’s “better than organic”. With so little work, you can do this even if you’re 80 years old and have a bad back and knees, even if you live alone and even if you’ve never held a garden hoe in your hands before. You won’t get as much produce of one kind as you would from a traditional garden… because you’ll get a VARIETY of fruits and veggies that, added pound for pound, will double or even triple your yield from the same square footage. You’ll have so much food that you’ll have no choice but to sell some of it to your neighbors, or barter with it for other survival items and services you may need post-collapse. In a long-term survival situation, you’ll get sick and tired of eating the same things over and over again, so you’ll have a few dozen types of veggies such as squash, onions, watermelons and sweet potatoes, plus all the apples, plums and walnuts you can eat. Some of these plants will even feed you during winter, when everyone else is stuck eating canned food, so you don’t have to dig into your stockpile unless you want to. If this sounds a little too good to be true, I understand you may be a little skeptical… I was too, when I discovered permaculture. But I decided to get involved, find out more and… I eventually got hooked. I could not believe how many folks are abandoning destructive gardening and farming techniques. According to FoodTank.com, there are now over 1 million certified permaculturists in 140 countries, with over 50,000 of them being American4. This doesn’t even count the ones who’re doing it on their own, without formal training. I estimate that there are hundreds of thousands of Americans, some of them preppers, who have ditched modern agricultural techniques and have embraced permaculture in every corner of the United States: from Phoenix to Vermont, from Upstate New York to Alaska, more and more people are seeing the benefits of this type of autopilot food farm. In fact, I’ve seen some pretty amazing large-scale projects, showing that they can feed not just entire families but entire communities, something to think about post-collapse, when you and your neighbors will have to look out for each-other: the 68 acres MiKu Valley Farm in Ontario, Canada, the Prospect Rock Permaculture in Vermont, New Hampshire, the one acre food forest in Pittsburgh and many more. Of course, you don’t need that much space because permaculture works even if all you have are a few square feet of space. In your own back yard, and show you why it will work for you regardless of your location, climate or level of skill. Step #1 is to do a little digging and mulching on your soil (with dead leaves, branches, hay, scraps, chicken droppings – all free). Step #2, you to dig a few shallow ditches to collect rainwater (so you don’t have to water your garden every day). The third and last step is to plant the seeds by knowing which plants go together and which don’t. Asparagus and tomatoes, lettuce and garlic… beans and carrots… there are literally thousands of combinations you can make to exponentially grow the yield and have a variety of fruits and veggies where you’d grow just one or two. You don’t just get a high-yield farm that will maximize your health and minimize the odds of needing your doctor, you get a survival garden that’s completely hidden from hungry neighbors and looters, who’ll never suspect the treasure you have hidden inside your back yard (or even your front yard, for that matter). This may surprise you but if you're a gardener, you’re already following some of these principles without even knowing it… And now you have the opportunity to take things to the next level and make “fancy” designs that will give superior crops, delicious fruits, berries, veggies and powerful medicinal plants, a veritable Noah’s Ark of foods you simply cannot get from a traditional garden. Some are good at keeping insects and other pests away, others attract bees and other pollinators… Beans and pears are nitrogen fixers, while others such as thorny bushes can keep deer and other animals at bay. And the most important thing, is by far, the soil. Though I promised you little work, you will have to do much of it in the beginning. You need to enrich it with things such as dead leaves and branches, compost and straw before you plant anything. 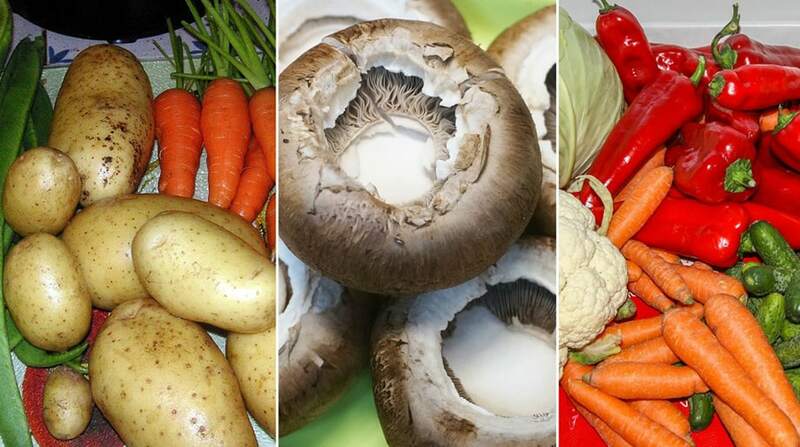 While some are throwing all of these away, you'll be using them to enrich your soil, no matter how infertile it is today, even if you’ve never been able to grow anything on it before. The last critical thing is water. The good news is, in a drought-stricken America, you need a lot less than you think, because this farm is designed for minimal waste. The ecosystem mimics the year-round moist forests and ensures that the water inside the earth doesn’t evaporate, like it does on farms and traditional gardens. Thus, you’ll barely have to water your survival farm... just like no one is watering the woods. That’s about it, really, but if you truly want to take it to the next level, you can also start raising animals. Chicken, turkeys, guinea fowls and ducks are easy to take care of, are excellent pest control AND they fertilize the plants, so long as you let them roam freely. Fortunately, as one of the top survival bloggers out there, I knew exactly where to find the right people who can show you how to do this to anyone and get results. I went through dozens and dozens of preppers, homesteaders and gardeners to find the ones with the most experience. And I found two amazing ladies that have been doing this a long time and want to show us how it’s done. Jeanie is a 20-year gardener who knows her stuff. You may have seen some of her articles on SurvivalSullivan.com – they’re simply amazing. And so is she… not just because of her extensive knowledge and experience, but for agreeing to be a part of this unique project that took us over 3 months to put together. There’s only one person I know who knows more about permaculture than Jeanie, and that’s Elizabeth, a 30-year gardener and 10-year permaculturist from rural Scotland. She has a huge amount of experience and was more than thrilled to help us. The climate in the UK is very similar to that of many parts of America, so rest assured that her advice works no matter where in the U.S. you’re located… or the world, for that matter. This product is digital. The image is for information purposes. ...and it’s like nothing you’ve ever seen before… An A to Z guide on survival gardening that is easy to read and a joy to put into practice, full of photos, diagrams and step by step advice. Even a kid can do this and, in fact, I encourage you to let the little ones handle it, to teach them not just about self-reliance but also about how Mother Nature works. How to set up highly nutritious soil for your plants. Do this before you plant anything and you're on your way to setting your food forest on auto-pilot for decades to come. I'm gonna tell you this one “weird” thing to add to the mulch that's not only highly effective but also 100% free (because you already have it in your home right now). How to “marry” your plants. We're gonna tell you which grow well together and help each-other survive and thrive, so they don't ever compete for sunlight and nutrients. You get the full table of plants that work well with one another as well as the ones you should NEVER be put together. A hotlist of perennials that you don't have to re-plant every year. They just grow and grow, and all you do is harvest them. In some cases they yield food all-year round (like Okinawan spinach, which absolutely thrives in warm climates). How to take care of pests naturally, and without using any pesticides. There are certain plants that act as the food forest’s policemen by repelling “bad” insects. It’s in their best interest too, because if the plants around them die, they die. The “secret” plants that are natural fertilizers, so you never have to spray your soil ever again. These little workers pull minerals from deep down the soil with their long roots then, when they die, the leaves fall next to your other plants and start decomposing. You won't have to spend a dime on fertilizers ever again. How to love your weeds. They not only fit into the ecosystem but some of them, such as dandelions, are actually helpful to the soil. As far as the undesirable weeds, we’ll tell you two excellent ways to prevent them from growing that are 100% natural, and we’re also gonna tell you how to “read your weeds” and detect potential soil problems. Next, we won’t just show you how to grow bees for pollination, but how to attract them using these bee-friendly plants. How to make your own organic fertilizers, because chemicals and fossil-fuel based pesticides are the last things you want to put in your soil. Brace yourself because we’re also going to talk in-depth about each of the animals that are “permaculture friendly”. Most of them are really easy to grow, the get along well with your plants and, best part, they get fed by the farm so you don’t have to remember to do it many times a day. Stuck in the city? Have no fear, because we've bent over backwards to find solutions for you. We're going to let you in on some unique ways to make permaculture work in small spaces, so your food needs are covered if you can’t leave your apartment. We'll share our best kept secrets on indoor gardening, that go beyond vertical stacking on walls and trellises. How to make food hedges, to not only protect your front and back yard from outside view, but also to give you a secret source of tasty, nutritious foods. We can't wrap this up without talking about medicinal plants. In an SHTF situation, access to doctors and meds will be restricted, which is why you'll need to grow these 50+ plants into your garden that alleviate or heal hundreds of diseases and conditions. Plus, we'll show you how to actually use them in an emergency, starting with burns, spider bites, warts and many more. The health benefits from these plants are staggering: from lowering cholesterol to improving eye sight, mobility and reducing stress, there is not a single organ in your body that won’t be improved. You will be charged $39 for "My Survival Farm". There will be NO other charges. Now, this course is valuable whether you’re a seasoned gardener, farmer, or just a prepper looking for a way to feed his family once the stockpile is gone. No stone is left unturned. Our plans that work for anyone, from Mainland U.S. to Alaska, Canada, the U.K., Australia and any other place on earth. At the same time, we filled it with dozens and dozens of secrets that I can almost guarantee you didn't know. We worked our rear ends off to make sure that your survival garden will not fail you when the big one hits. 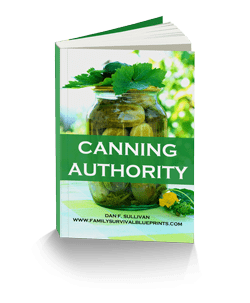 But the way I made this course a home run was that I added my own touch… I added some crucial tips on how to hide and manage your survival garden and the resulting food so no one will ever touch it. I can guarantee that no such course has ever been written from a prepper’s perspective… because I looked! 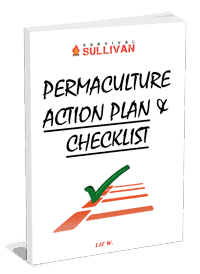 Bonus #1 is the Permaculture Action Plan and Checklist. One thing I learned after writing thousands of pages of content, is that folks often like to have an overview, something to serve as a reminder of the key ideas as well as the order in which to do things. This condensed version of the main course will make sure you avoid the costly mistakes that could mean little or no yield from your garden in the first year. Why screw it up when you can get it right the first time? Next we’ll give you over 10 example diagrams of permaculture gardens. They’re similar to what your own design will look like, and will help you make your own customized plan quickly and easily. The main course has plenty of diagrams, but these will help you save time. 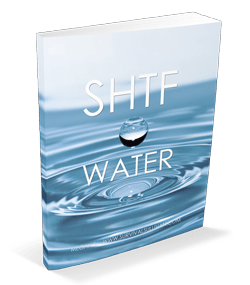 My 3rd bonus is called SHTF Water. We talked about how this survival garden doesn’t need that much water, but you sure will. We’ll cover everything you need to know about water for survival purposes: storing, harvesting, finding water sources in any terrain, and, of course, filtering and purification. 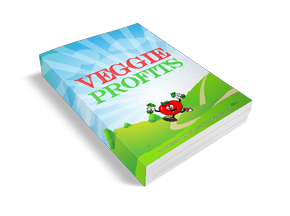 ...while Veggie Profits will help you sell your excess produce and make a few extra bucks to buy more preps. You can also barter with it post-collapse, to help you thrive when everyone else will be digging through trash cans. Believe it or not, there’s more. 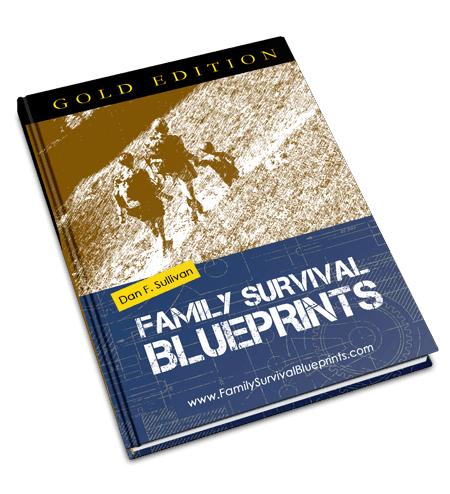 I decided to do something “foolish” and might end up regretting it but… if you act now, while this video is up, you’ll also get FREE access to the Family Survival Blueprints, my first and most treasured survival course that’s currently selling at $37. It’s my “survival 101” course, something I think every American needs to read and print out to have as reference when the world goes dark. And if you want to learn from the same sources that some people are paying at least $800 for, and get their Permaculture Design Certificate, be my guest. It’s not something I can afford, not when my experts can write much better content. In fact, I pushed the price even lower, well below the $100 tag. I figured that if I really wanted to help people, I should charge what I myself would spend for it. That’s when I knew exactly how much to ask for it. You’ll be thrilled to know that, for now at least, you can get everything for a one time payment $39 and not a penny more. Speaking of which, the sooner you start, the sooner this little ecosystem will start feeding your family. No farm grows overnight, and permaculture gardens are no exception. Click the button below, and you can literally start reading and planning within minutes. As you know, time just isn’t on our side when it comes to survival preparation. Whether it’s building a food stockpile, learning survival skills or setting up a bug out retreat, the sooner you start doing them, the more prepared you are when the unthinkable happens. Same thing with survival farming. Sure, you will make some mistakes, but me and my experts are just an e-mail away if you ever need us. You won’t get this kind of support from any other gardening course on Amazon. Your first option would be to set up an aquaponics system. They’re pretty popular these days but have obvious flaws that make them impractical for the average prepper. They not only need DAILY monitoring, but also work on electricity, meaning that they’re useless in case of an EMP. In fact, even a simple power outage will kill all your plants and fish, because they need electricity in order to survive. Your second option would be to start a traditional garden. If you put in the hard work and are willing to re-plant every year at the right time and spray pesticides, your will see results… unless pests or disease hit your crop hard. You’ll also have to guard it for looters every night AND worry about crop rotation and seeds. All of this is manageable but requires continuous effort on your part. Besides, where are you going to find pesticides post-collapse? I understand if you’re feeling iffy about handing some stranger your money, but the price doesn’t even matter because you’re fully protected by my iron-clad a 60-day money back guarantee. If, at any time within the next two months you change your mind, just send me a quick email and I'll refund you every penny. No questions asked, no BS and you can even keep the bonuses – my way of saying “thank you” for giving it a try. If you've ever bought anything from me before, you know I'm a man of my word and I ALWAYS keep my promises. And now, I need you to promise me something: that you won't leave your family's fate to chance by not having a renewable food supply. This hole in your survival plan needs to be fixed ASAP, and the best way to do it is to start your own survival garden. Embrace permaculture because it’s not just a bunch of gardening techniques, it’s a way of life. Question: What is permaculture anyway? Permaculture is a unique way of designing and growing a garden or a farm that mimics natural ecosystems found inside forests. It comes from the two words, “permanent” and “agriculture”, and it allows you to grow together dozens or even hundreds of plants, backyard animals, bees and fish that work with each-other, protect each-other and help each-other grow. The father of permaculture is considered to be the Australian Bill Mollison, who, in 1978, wrote the first book on the topic, titled Permaculture One. As you can imagine, a lot has changed since then, the techniques have been optimized to fit different climates and are less intrusive. At the same time, the 12 basic principles of permaculture still stand true… “observe and interact”, “catch and store energy”, “produce no waste” etc. You can read the rest in the first chapter of the book. Question: Is it hard to maintain such a garden? Not at all, though you will have to do some work every now and then. There’s no weeding, no digging and very little watering. Sure, you will have to add new plants, you will make some mistakes… but those are all nothing compared to the hard work you need to put into a traditional garden. Yes, absolutely. I'm using ClickBank®, the biggest online retailer of digital goods, having an A+ rating with the Better Business Bureau, and my site is ClickBank® secured and trusted. Their automated process makes it really easy for you to quickly get your money back if you are unhappy for whatever reason by sending either me or ClickBank® an email for a full refund. Remember you have two whole months to do it. Question: Can I get the product in physical format? Not at the moment, no. By making this available in digital format I can keep the costs low while you get fast, instant access. Question: Is my credit card safe? Yes. The transaction is processed by the online retailer, ClickBank®, and that’s what will show up on your bank statement. ClickBank® processes hundreds of thousands of eBook transactions every single month and they’ve been doing this for a very long time and handle money with care. Question: Can I access the product from my phone or tablet? Sure. After your purchase, you will be taken to the Members Area but you'll also get a direct link via e-mail. This way, you'll be able to access the product anytime you want it by simply logging in to your email from your phone, your iPad or your laptop and clicking the link to get to the same Member's Area. Question: Dan, can I make a printed copy of this course? How about several? By all means. Feel free to make as many as you want. Question: What disaster is most likely to hit us? That's a fantastic question. Well, with the Swiss decoupling themselves from the euro, with tensions between Russia and the U.S., the E.U. and Turkey, I believe a financial disaster is most likely to hit, which will quickly lead to a food crisis. It's not only going to affect just America but most of the World. Just like some financial analysts were called crazy for predicting the 2007 crisis before it happened, there are people right now crying their lungs out about the food crisis. Question: What if I have questions later on? I'll be right there with you! Simply write me an email at and I'll personally reply in 48 hours. Tops. Question: Is the product full of fluff? Absolutely not! I've had my share of survival courses filled with irrelevant stories, personal opinions and political rants. There will be none of that in My Survival Farm! Well, that’s it. I rest my case. I can’t possibly make this any easier for you. Out of all the things related to survival food out there, a stealth survival garden on auto-pilot is one of the most important things you could be focusing right now. Don’t delay until SHTF, click the button below to get started right away. I'm Dan F. Sullivan, thank you for reading this. FTC Legal Disclaimer: Results may vary. The results presented in this presentation are NOT typical. For it to work, we assume you actually APPLY the things explained in the system, otherwise the method will not work for you. Dan F. Sullivan is a pen name, it is not the real name of one of the authors of this course.